Each account can be configured wit on the fly image resizing or conversion. Provides a 1280px (longest side) web image (jpg or png depending on original file format) option provided the original uploaded file is larger. 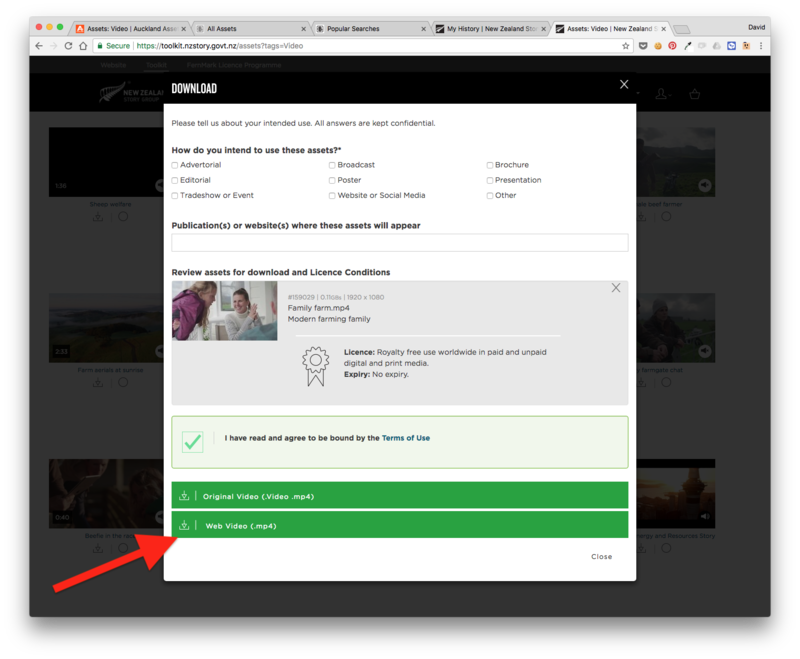 Provide web ready .mp4 video sizes to play in the app and as downloadable web sized files, again provided the Original upload was larger. 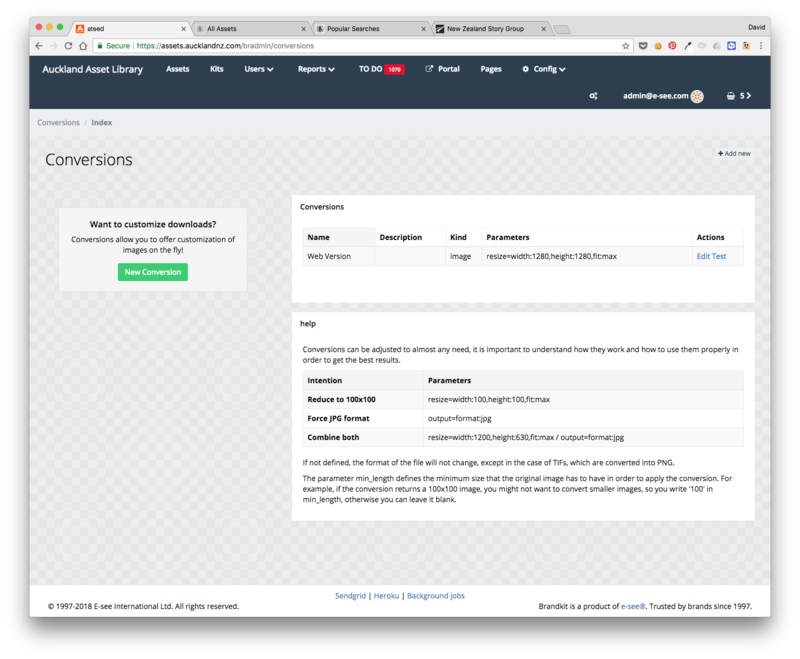 Images Conversions are configured by Brandkit Support for you. Example Conversion settings for customer ATEED. and seen in the Portal by users as a Download option. Example Download dialogue with on-the-fly resize/conversion, for customer ATEED. 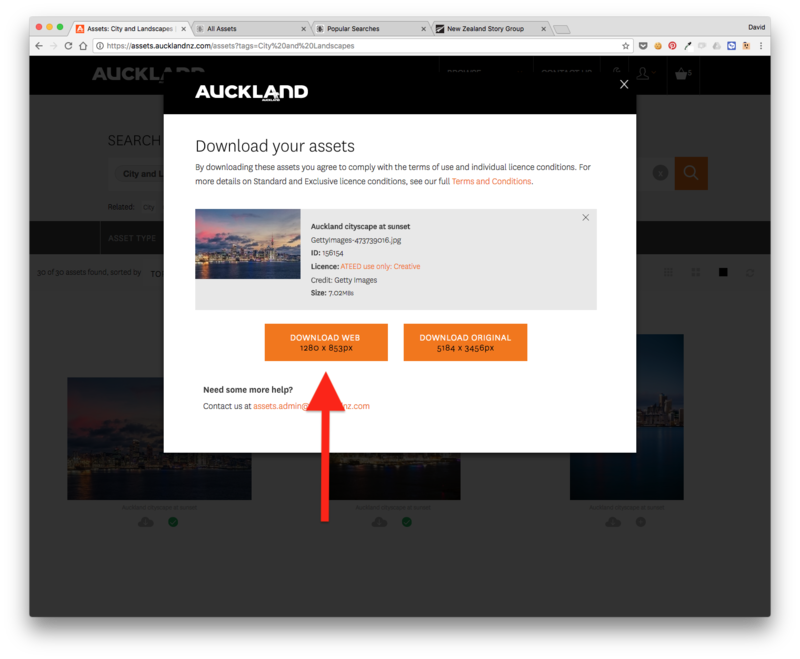 Example Download dialogue with on-the-fly resize/conversion, for customer NZ Story.